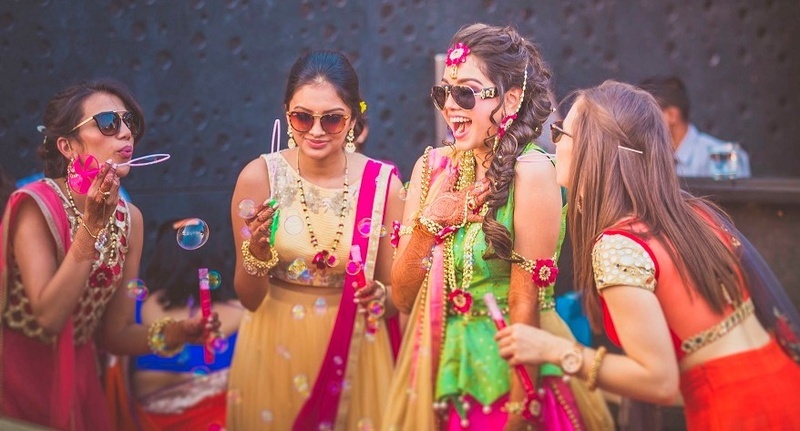 Floral jewellery and mehndi outfits go hand in hand. Choose happy and vibrantly coloured outfits. Decorate your braid with flowers or similar adornments! Save the heavy embroidery for the wedding. Go for lighter fabrics or printed ones! Because nobody wants to spend their mehndi day in stilettos!